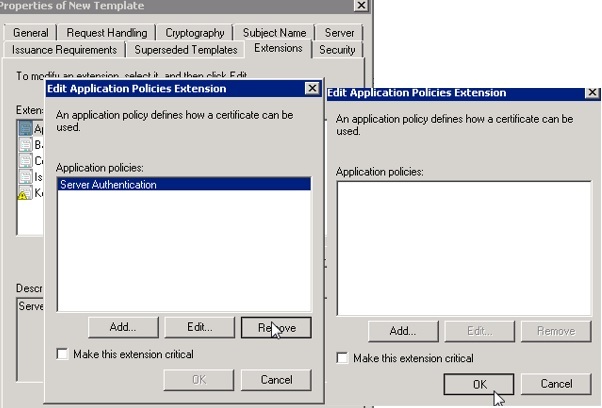 Creating a new Template for vSphere 6.0 to use for Machine SSL and Solution User certificate. 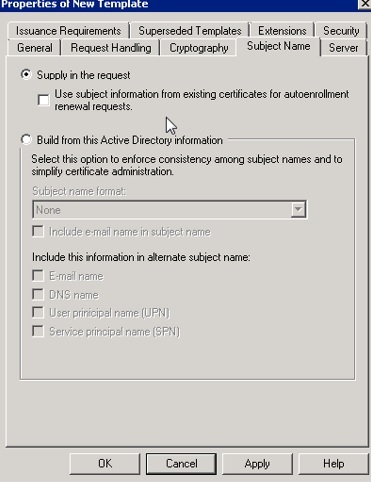 Pls check my previous blogs about the PSC , F5 PSC LB, vCSA installation and PSC AD configuration. 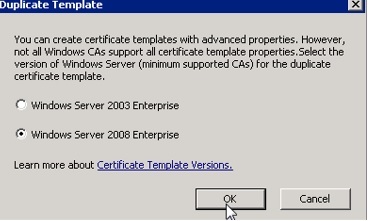 Login to the windows CA issuing server and type certtmpl.msc which starts up the Certificate Templates Console. Go to the Templates folder , right click and select Manage. Look for the “Web Server” template , right click and duplicate it. Make sure to select the proper template version according to the environment. 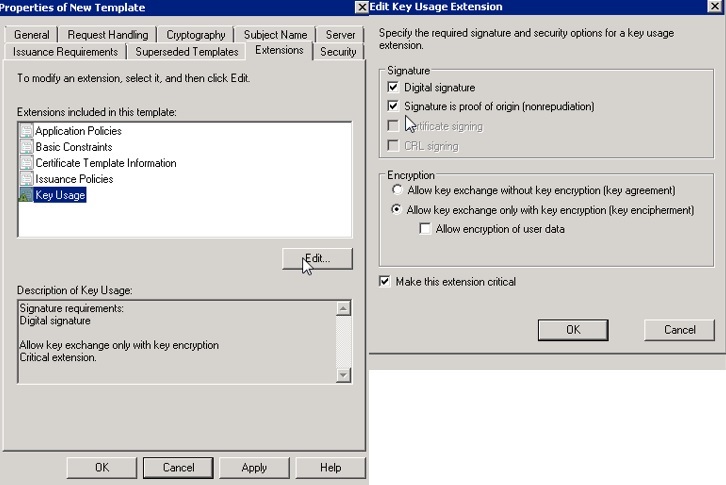 If you have an encryption level higher than SHA1, select Windows Server 2008 Enterprise. 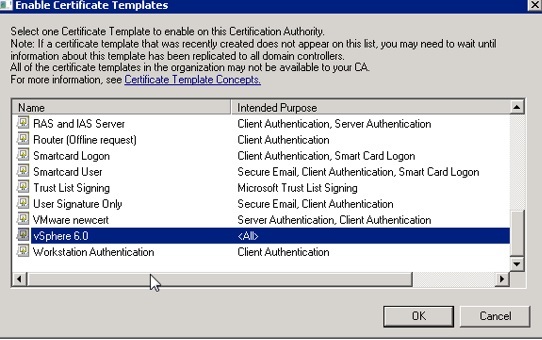 Select Server Authentication and click Remove, then OK.
Run – MMC – Add certificate Authority – Right Click – certificate Templates – Find the vSphere 6.0 VMCA template and select it. Click OK.
Once done you can see the new template in the certificate web console. 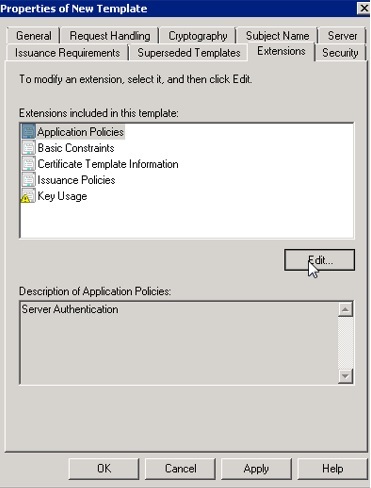 This entry was posted in Certificate, High-Availability, vCSA 6.0, VMware, Windows and tagged Install and Configure vCSA 6.0, vcenter 6.0 template, vCSA 6.0. Bookmark the permalink.